Art in the Atrium Workshops! TUESDAYS in FEBRUARY from 5pm – 7pm! 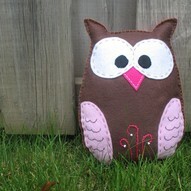 Create a mini-plush for a friend or a lover! Make a monster, and animal or a voodoo doll! Some materials provided, bring any supplies you have! 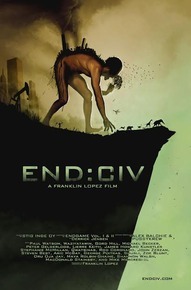 END:CIV examines our culture’s addiction to systematic violence and environmental exploitation, and probes the resulting epidemic of poisoned landscapes and shell-shocked nations. Based in part on Endgame, the best-selling book by Derrick Jensen, END:CIV asks: “If your homeland was invaded by aliens who cut down the forests, poisoned the water and air, and contaminated the food supply, would you resist? Come to learn the ancient eastern art of calming down while at the same time rejuvenating your body and mind. Instruction will be given for various gestures, movements, breathing, and attentional focus that lend themselves to organizing the three brains: the reptilian, the mammalian, and the neo-cortex. Walk away from the practice refreshed and with some new tricks to take care of your body and mind and lower your overall stress level. The twenty-first century promises rising temperatures, oil prices and economic uncertainty. We’ve heard the numbers and experienced the phenomena. How are these crises affecting not just our attitudes towards the future but also our long-term decisions such as having children, going to school, or saving for retirement? 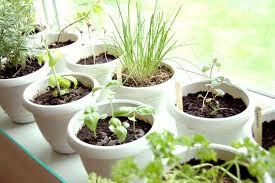 As we re-evaluate our current lifestyles and our long-term preparations, how can we take care of ourselves and our community? Are there ways to meaningfully plan for a tomorrow we can’t predict? In this public conversation, we will seek to move beyond guilt, blind optimism, and doomsday gloom to create a compassionate space in which we can share stories of changes made and challenges encountered, and reflect upon our vulnerability and our resilience in the face of transition. Facilitated by David Summerhays. DB Clarke Theatre, Concordia University, 1455 de Maisonneuve West. remote corner of Vancouver Island, through some of the most intensive logging on the planet, into a wilderness that is on the brink of extinction. Massive trees, ranging in age between 1,200 years old and seedlings, thrive along the banks of an ancient river floodplain, which provides for diverse life forms in the temperate rainforest. Previous PostCity Farm School 2014!Next PostHot Topics in Urban Agriculture: Indoor Winter Garden!